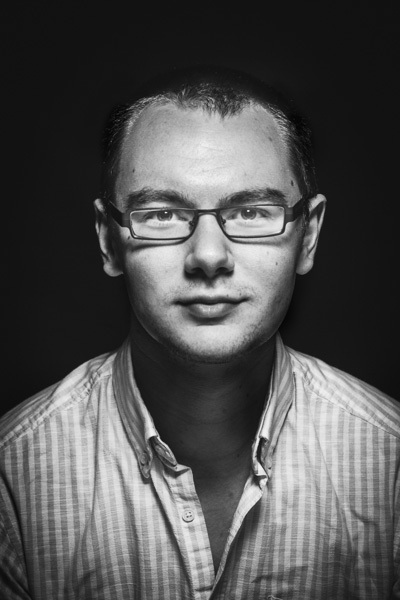 My name is Jamie Corbin and I am a full time freelance photographer based in Bristol, UK. I specialise in people and performance photography - though I also have a broad sideline in events work. Over the last 9 and a half	years I've increasingly concentrated on portraiture and stage work - as for me the two balance each other perfectly. Stage photography is reactive, fast paced and requires a high level of skill and precision in what are often technically tough conditions. Portraiture on the other hand can allow far more creativity and I enjoy having more control and input into the final images in a way that isn't always possible with performance shoots. I'd like to think my style is clean, classic and simple. A good portrait is one that gives some insight into the subject, expressing who they are or who they could be. So I try and tell a story with my photos - even if it is just with one frame.